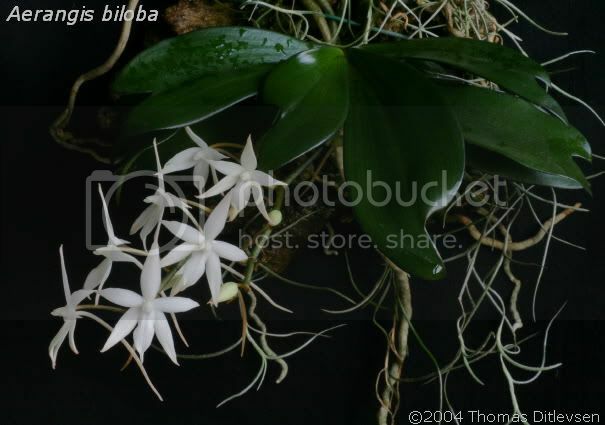 A. biloba is from tropical West Africa , Comoro islands and Madagascar. 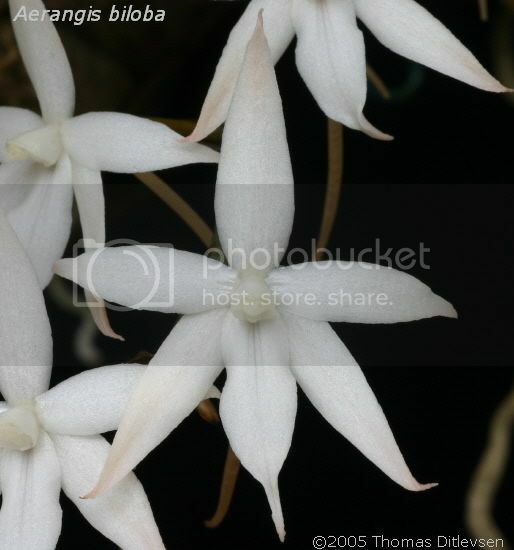 The 2,5cm (1") flowers are pleasently night fragrant. 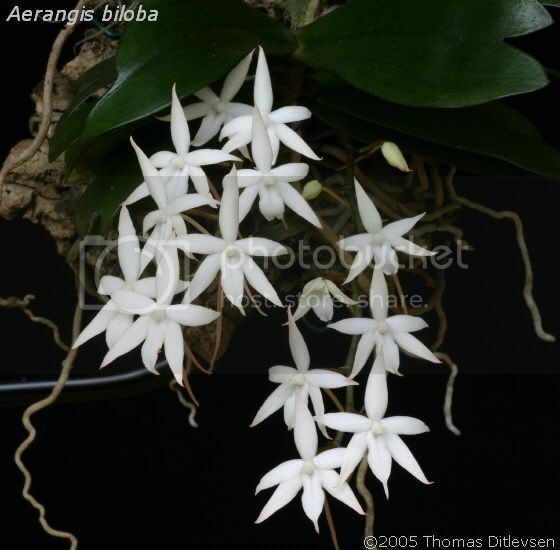 As with all Aerangis species it is best grown mounted and under intermediate - warm conditions.
" 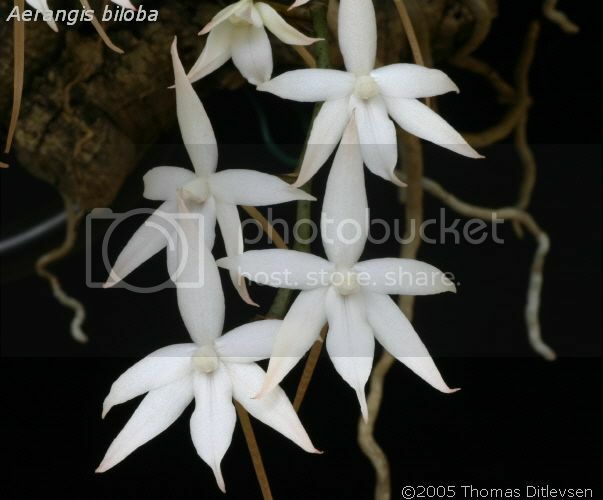 Biloba grows in the absolute darkness, sometimes that dark that it wasn’t possible to read the display of a luxmeter." 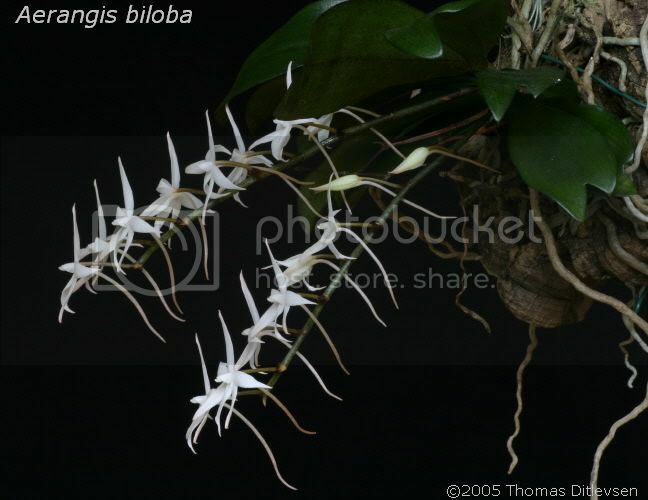 Quote by Theo at The UK Orchid Forum.